On International Women's Day, we're celebrating a respected and pioneering career. Those poignant words were spoken by Margaret Sutherland (1897-1984), the mother of modern Australian classical music. Through her travels, compositions and her musical activism, Sutherland brought an indifferent Australian public to terms with the musical currents of the early 20th century. This, despite the fact that her last completed work was her first ever commission, that she was refused publication by Boosey & Hawkes after they discovered ‘M. Sutherland’ was a woman, and that she was married for two decades to a man who thought composing music was a sign of mental illness in a woman. Sutherland grew up in post-colonial Australia where the prevailing musical influences were a kind of English pastoralism mixed with Romanticism and French impressionism. Other composers of her generation included Alfred Hill and his wife Mirrie, John Antill, Robert Hughes, Clive Douglas and Dorian Le Gallienne; but it was Sutherland who almost single-handedly pioneered Australian new music in the first half of the century. She was one of the first to absorb the influences of neoclassicism, particularly the music of Bartók and Stravinsky, and went on to develop an adventurous and unique musical voice. Sutherland’s musical talent was encouraged by her free thinking, cultured Melbourne family, which included several musicians and an aunt, Jane Sutherland (1853–1928), who was an artist associated with the Heidelberg School. By the age of five Sutherland was improvising at the piano and she began writing her own pieces a year later. Her aunt Julia Sutherland (1861–1930) was Margaret’s first piano teacher and she studied harmony and counterpoint with Mona McBurney. At the end of 1923, she travelled alone to England, Vienna and Paris, studying composition, orchestration and conducting, and rubbing shoulders with the world’s musical elite during what must have been an eye-opening trip. She encountered for the first time the music of Debussy, Ravel, Stravinsky and Bartók, and absorbed that of the Second Viennese School and the French collective ‘Les Six’. She met Richard Strauss and took lessons from Arnold Bax, who encouraged her to publish her Sonata for Violin and Piano, saying it was “full of remarkable ideas” and “the best work by a woman that I know.” Musicologist James Murdoch described it as superior to the “comparatively flaccid” writing of Alfred Hill who was regarded as Australia’s pre-eminent composer at the time. In 1927 she married the psychiatrist Dr Norman Albiston and began a family. She continued to perform and teach to pay household bills while her husband established his practice, but her compositional output was limited by her husband who preferred she restrict herself to music for children. 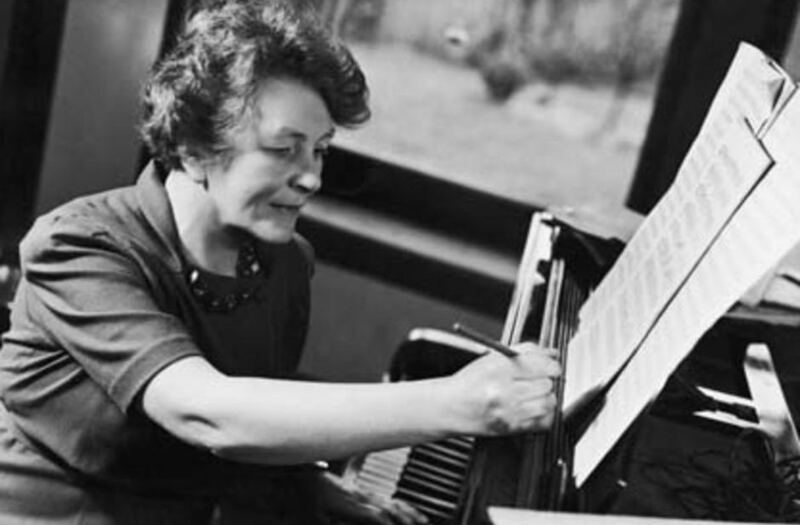 During the 1930s she produced a crop of works including the award-winning Two Choral Preludes for piano, which mixes the formality of Bach with Brahms’ rich harmony. There is a glimpse of the genuine human warmth (but without sentimentality) that was to become a distinctive part of her compositional voice. By now Sutherland was also lobbying on behalf of composers and had begun her legendary petition to the government for the construction of the Victorian Arts Centre. She was involved on several music councils, including the Australian Music Advisory Committee for UNESCO and the Council for Encouragement of Music and the Arts. 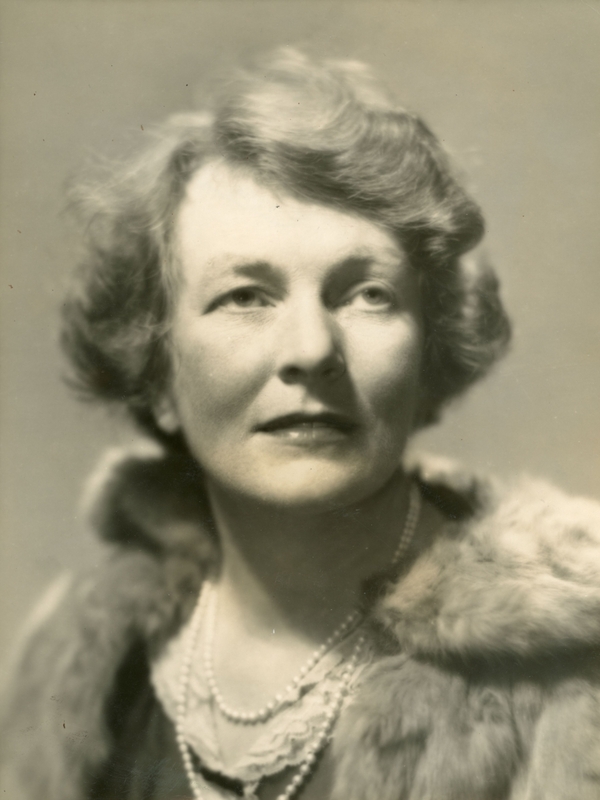 She also established Kurrajong Press and founded the Camerata Society, a precursor for the International Society for Contemporary Music which provided significant support to young composers. 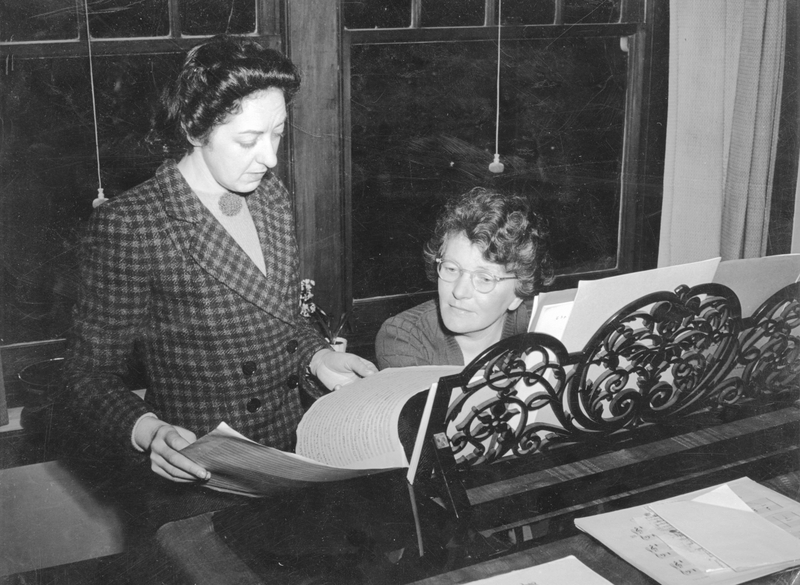 The few works Sutherland did compose during this period (Quartet in G Minor (1942), Six Profiles for piano (1945–46), Sonata for Clarinet (1948) created a bridge between her earlier romantic voice and her neoclassical period. Concerto for Strings was also written during this time and musicologist David Symons suggests the bittersweet neoclassical harmonies may reflect the circumstances of her life, revealing both Sutherland’s strength and sensitivity. Sutherland and Albiston divorced in 1948. Sutherland didn’t remarry and an outpouring of creativity followed the divorce as what had been repressed for so long was given expression. She was 51 years old and her composing career finally began in earnest. Piano teaching funded a second trip to England and Europe to seek publishers. On that front the trip wasn’t successful. Sutherland later recounted to James Murdoch that when Boosey & Hawkes discovered that the ‘M. Sutherland’ on the cover of Concerto for Strings was a woman they immediately declined to publish. However other aspects were successful; together with Don Banks, Sutherland established the Australian Musical Association in England and on her return to Australia her writing became increasingly prolific and powerful. Over the next 15 years she produced her largest and most successful works including Contrasts for two violins (1953) and Discussion for string quartet (1954) with its modern chromaticism allied to Bartók and Hindemith. The lean textures of Six Bagatelles, Concerto Grosso and the more expressive Violin Concerto also date from the late 50s. Sutherland’s discovery of the poet Judith Wright and their shared preoccupation with Australianness, motherhood and childhood inspired a surge of songs. The World and the Child for soprano voice and string trio is one of Sutherland’s most powerful works with its restrained but brooding melancholy. Even in her prime when she was crafting work with tough confidence, Sutherland limited herself mostly to smaller chamber pieces, stating publicly that she felt uncomfortable writing for larger forces. The orchestral piece Haunted Hills (1950) with a duration of 15 minutes was her longest single instrumental work. It revealed an interest in the history of Indigenous Australians that found a later outlet in the chamber opera The Young Kabbarli (1964), a work based on a story about the missionary Daisy Bates and her involvement in Indigenous communities. Birds and insects are evoked in the dry sound of castanets, wooden shaker, piano and upper woodwind. Kabbarli was the first Australian opera to be recorded and showed Sutherland continuing to explore the concept of an Australian voice. Remarkably, all of her compositions up to the mid 1960s were uncommissioned and born from her own impetus to create. Sutherland’s first commission in 1967 came from the Australasian Performing Right Association and resulted in her Third String Quartet. By now Sutherland was avoiding triadic harmony and preferring a high level of dissonance and irregular metres. In 1968 she began writing Chiascuro I and II, her first pieces to demonstrate the equal treatment of 12 tones. Her tireless exploration of new sounds made her a figurehead for younger composers such as Felix Werder, Richard Meale, George Dreyfus and Helen Gifford who were exploring modernism and the avant-garde. In 1970 Sutherland was on the Cultural Advisory Committee advising UNESCO. At a meeting in Canberra, Bernard Heinze announced that her music had not been included in a showcase of Australian music to be sent overseas. Almost immediately after the meeting Sutherland collapsed with a stroke which, together with her poor vision, left her unable to compose. She didn’t write again, although she lived for another 14 years. Her contribution to Australian music was recognised with an honorary doctorate from Melbourne University in 1969 and an OBE in 1970. Her 70th and 75th birthdays were marked with all-Sutherland concerts and in 1977 the ABC broadcast a two-hour special programme for her 80th. She was awarded the Queen’s Jubilee Medal and in 1981 became an Officer of the Order of Australia. After her death in 1984 a memorial concert was held in the new Melbourne Concert Hall at the Victorian Arts Centre, which her petitioning had brought into being. She left behind over one hundred compositions, years of inspired teaching and recitals, decades of championing the arts in Australia and a whole generation of emerging composers. On International Women’s Day, a new book celebrates Australian music’s unsung heroines.